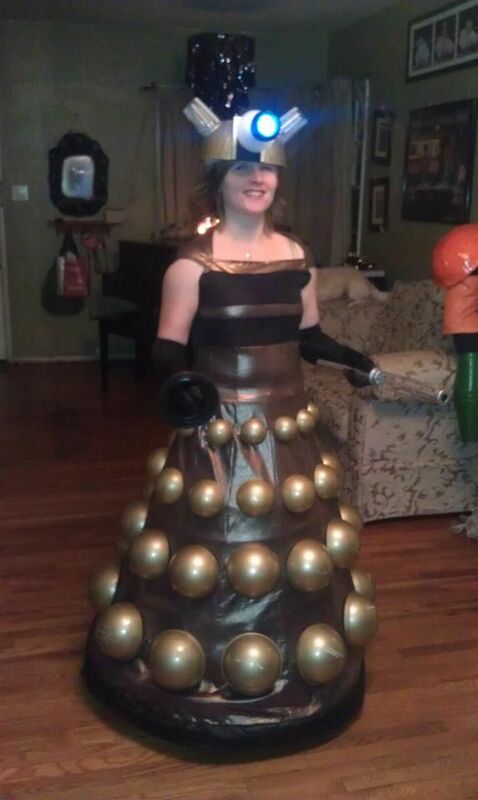 Cosplay is one thing, but a good, geeky dress is another. These aren’t costumes per se, rather they’re dress designs using bits of nerdery from sci-fi to superheroes. I hunted all across the internet to come up with a definitive gallery of the geekiest, coolest dresses in existence, and I’m pretty happy with what I unearthed. These dresses range from the practical (above) to the ridiculous (many, many below), and a lot in between. A few have been featured on the site already over the years, but a lot are brand new as well. Check out the gallery below, and be sure to let me know about any I might have missed in the comments. I have the bedsheets that she made the first dress out of. She had her own post a few days before this.